Remember how week 6 started off in a rather dull manner and ended with a long ride that I had to abandon because it was so challenging? 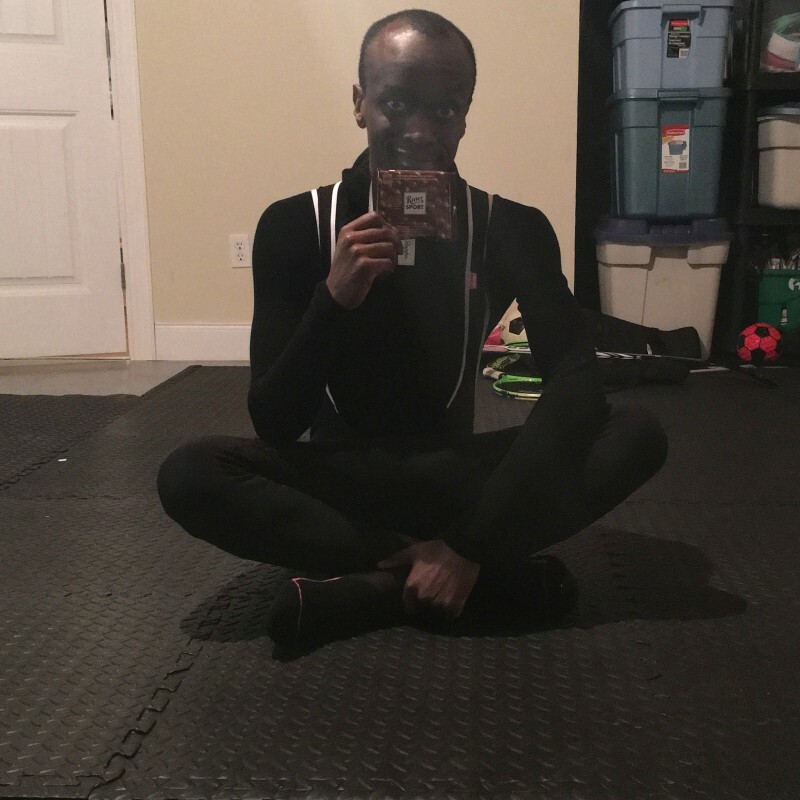 Week 7 was no walk in the park either but lord was it full of fun adventures and moments that I will forever cherish as you will read in this update. 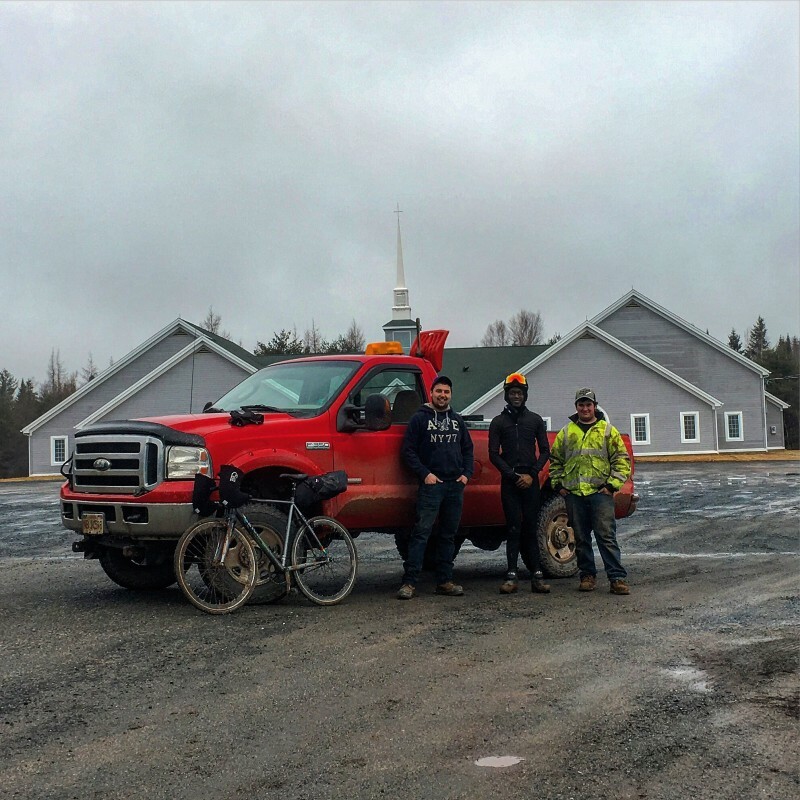 The day before Week 7, a Sunday, I had abandoned my ride in Pokiok a small town in New Brunswick due to fatigue that was caused by high cross-winds, a distance that was too much to cover in one day and a bicycle that was too heavy to what I was used to. 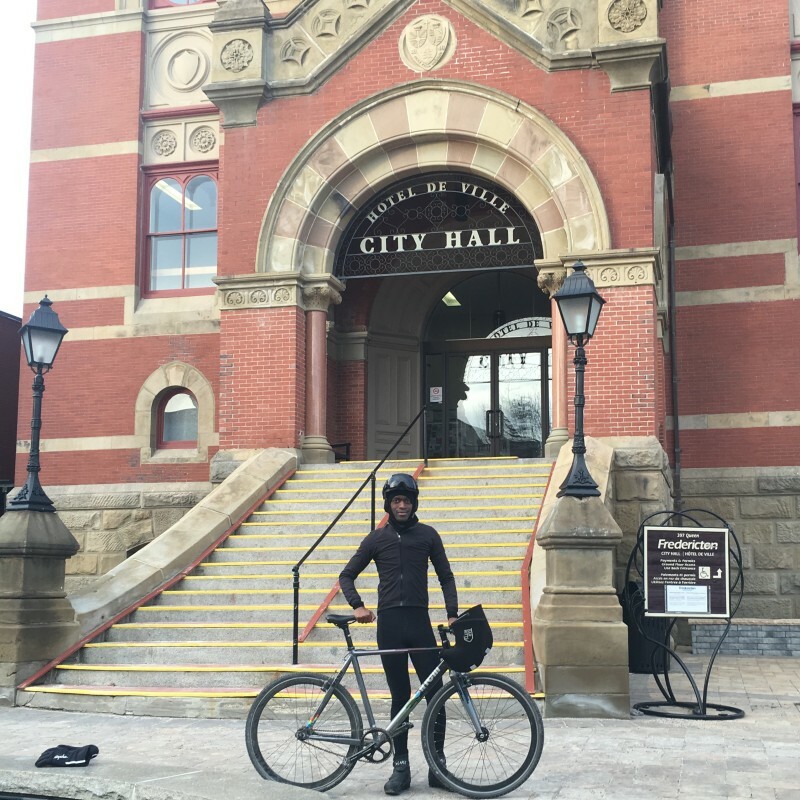 I had to finish the ride to Fredericton. A quick look at the map showed that it was a flimsy 60 km on a beautiful sunny and windless day. In my head it was a routine ride that I would get done in no time at all. Thank to Mr J, the father for driving to Pokiok to resume my ride. I was soooo confident that I did not even bother to eat properly and packed light as you can see in the photo below. See how I was all smile and full of confidence? Well, within the first 20 minutes the smug face disappeared and I wondered what the heck was going on. Why? That ride was cocktail of hill after hill after hill. And these hills were not short either. I would climb for 20 minutes at a time and have a little downhill and climb again for 70 km!!! The route way over 60 km because the GPS miscalculated the distance. 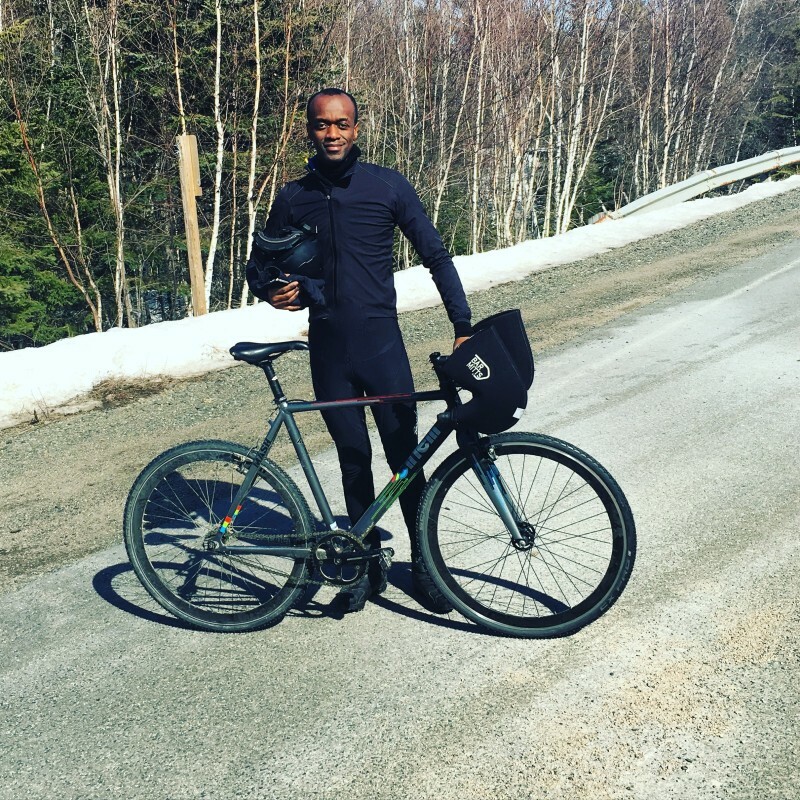 I really should have taken a day break and attempted that ride on the following day but I had to take that day as on the Tuesday there was a crazy snowstorm that was on the weather predictions so Monday was the best day! That was the first time, I rode such crazy hills that I was praying, almost crying, used foul language, ran out of water, ran out of excuses and just wondered why life was being unfair. But what a sigh of relief when I saw the sign telling me that there was indeed a light at the end of the tunnel. 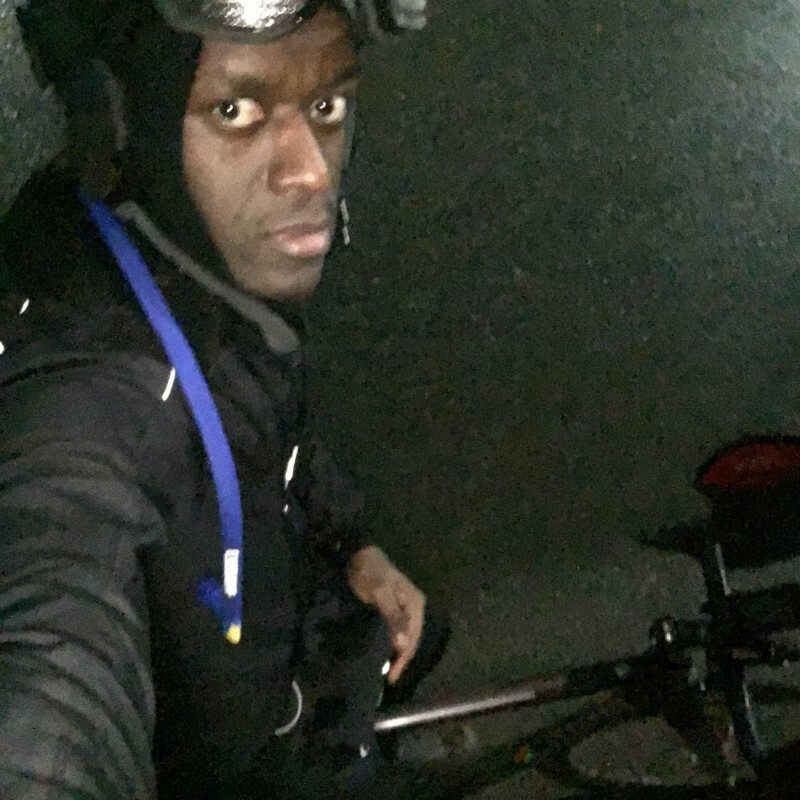 That ride was extra special because since the day I started The Big Journey, I saw the first cyclist. 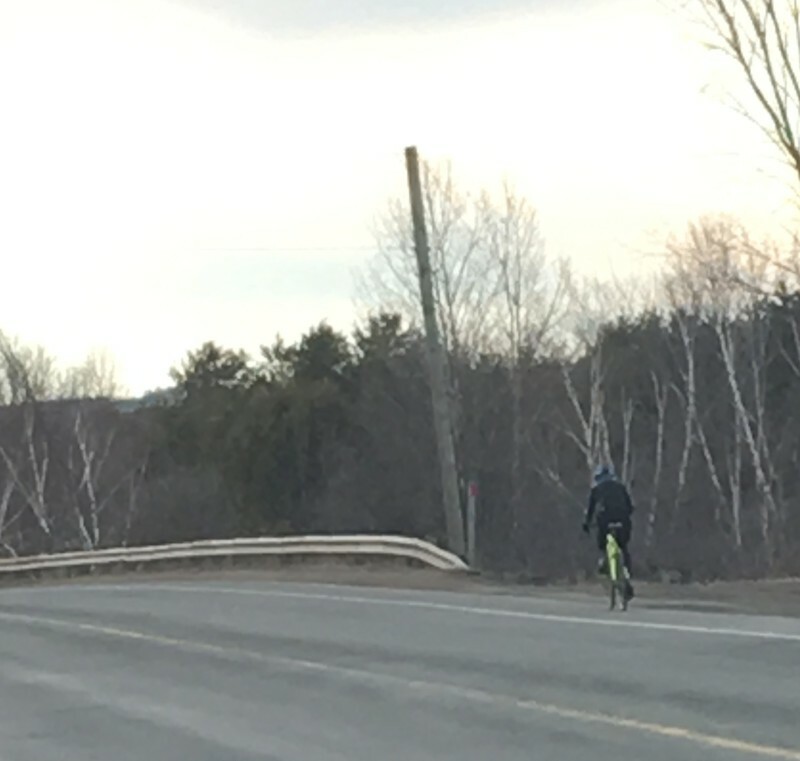 He or she zoomed past me as I was taking that Fredericton sign photo so by the time I saw him or her it was too late but I caught a blurred photo. 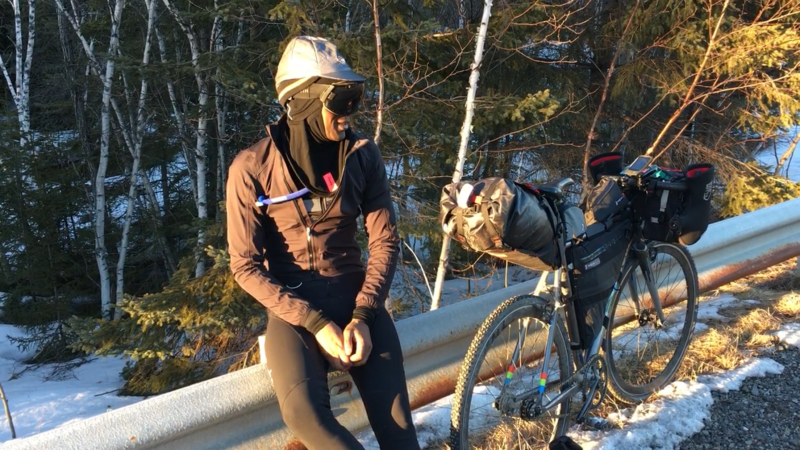 It was a big deal for me since for two months and a half or all of 2016 so far, I had not seen anyone on a bicycle as every single cyclist was hibernating except for trail riders who have fun on their fat bikes. I am talking about road and touring cyclists. 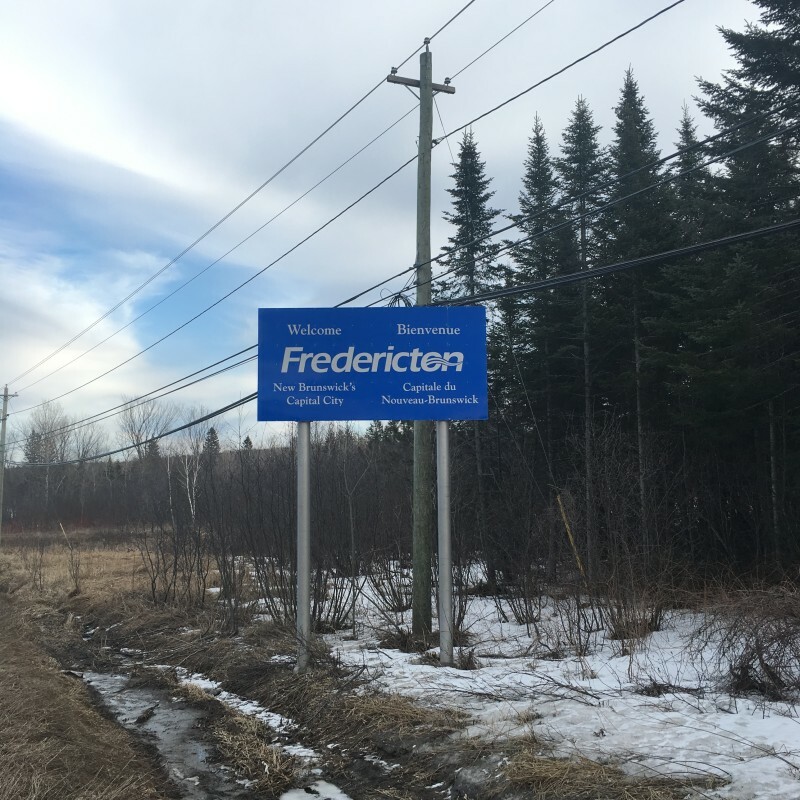 After overcoming hills that looked like mountains, I finally got to Fredericton tired and confused. By the way, you hear me complain about hills a lot and the reason is that I am in fixed gear. Basically my bicycle only has one gear and I chose one that allows me to go fast on flats but I pay heavily on the hills as I am climbing them with a strong gear. My advice is to read the fixed gear entry on Wikipedia to understand what my fuss is all about. 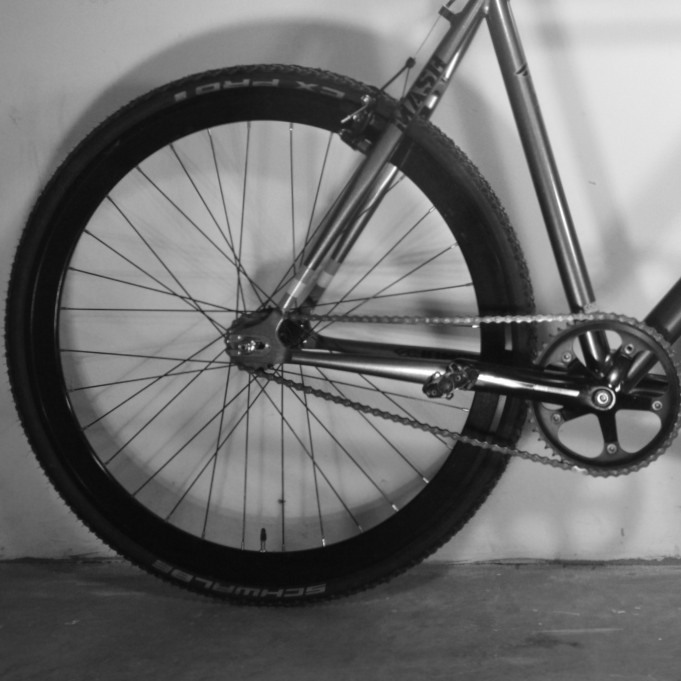 Why fixed gear across Canada? If you know me you already know the answer: why take the easy way when there is the hard way? After a day of pedalling up and down hills as if I was on a roller coaster, I had to get my after-ride treat: chocolate of course. I also did some stretching using a foam roller to soothe my muscles and it was the first time ever and I did not anticipate this level of extreme pain! I hate pain so I bailed out and will try another time when I am in a better mood. But I do understand that if it hurts, it means that my muscles are very stiff and actually really need this weird contraption! On Tuesday, the skies opened up and that snow storm really did fall fast and furiously and within hours everything that was snow-free the day before was covered in exactly 20 cm of this white powdery stuff! Crazy huh? 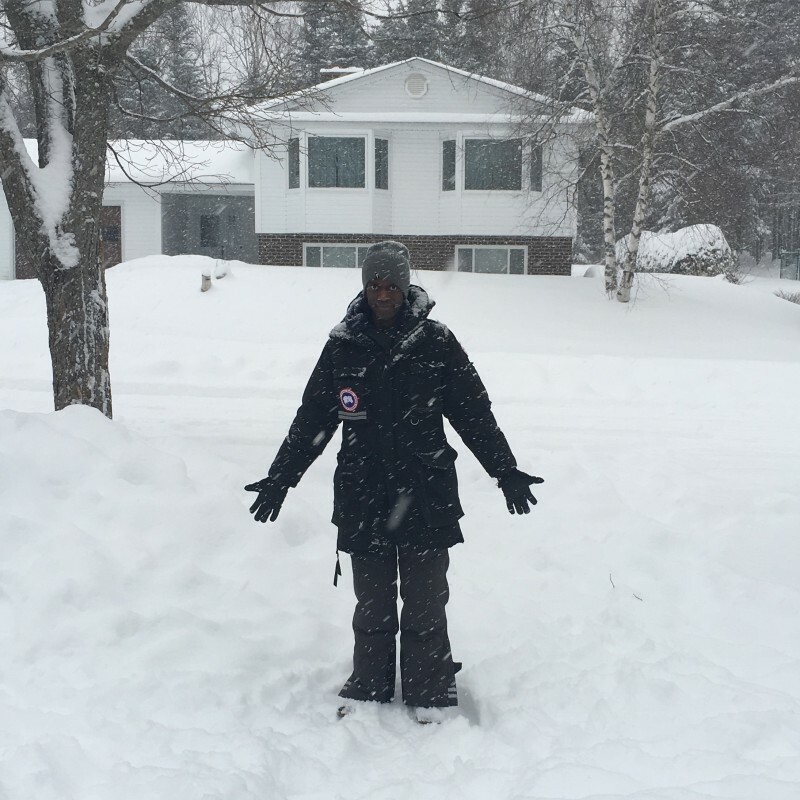 And to say that in some of parts of Canada not far from Fredericton, people were already in their shorts and t-shirts! Eventually the snow stopped and surprisingly melted as fast at it fell and I hit the road again towards Saint John, New Brunswick and this was one of the most dramatic ride, yet again! I will not even complain about hills anymore because it’s fast becoming a tired song for you dear reader but you have to understand that they are worse than the foul weather! 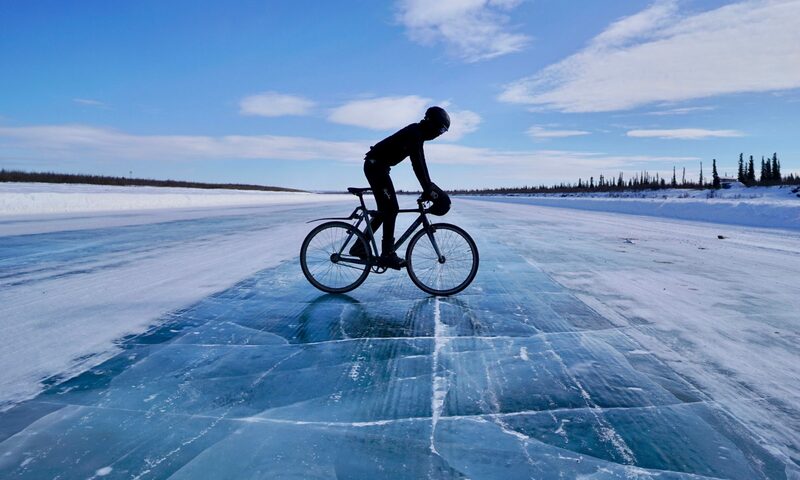 I would rather ride on a -30 C day without wind and hills than a beautiful 25 C day with hills or crazy winds. I tried to be smart and take a shortcut and promptly got lost in a forest. I was so petrified because it was in the middle of nowhere and I expected at any time for some wild animal to pop out of nowhere and eat me alive! And as you can see from the photo above, there was no more paved road but mud and mud and mud. In some instances I had to dismount and push my bike as I was stuck. And then my feet got stuck and I had to run as I was scared to get permanently stuck! Notice how I am my own worse enemy. Or should I say my mind that plays tricks on me and comes up with the world’s worst case scenarios? And out of nowhere, two samaritans appeared out of nowhere and were surprised to see me lost but resilient. Evan and Corey, thank you so much for bailing me out from that forest and giving me good directions and a ride to the closest paved road. I owe you a lot! 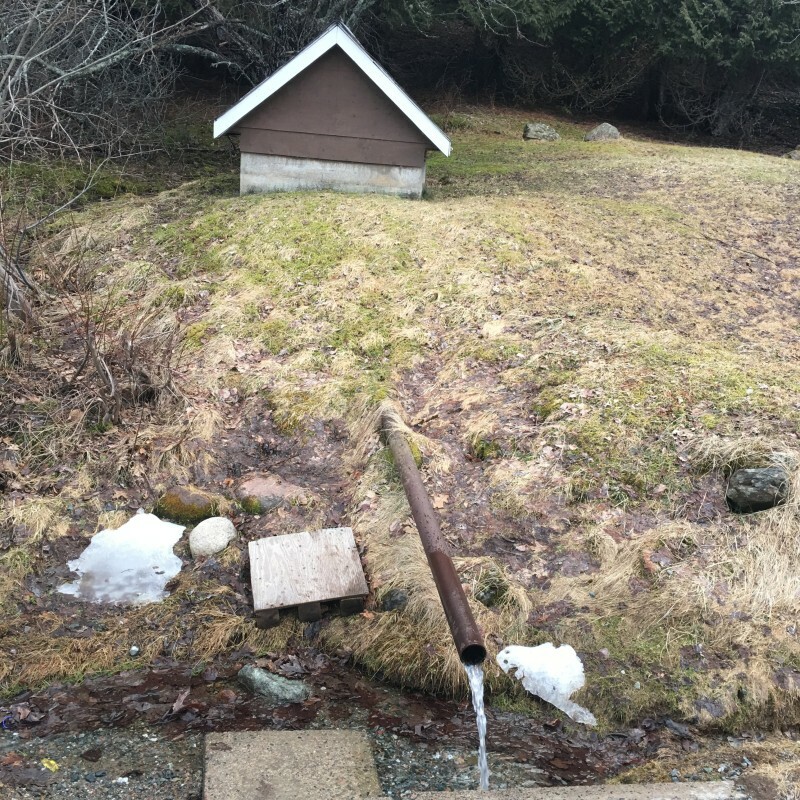 At one stage, I was so thirsty and had run out of water and I prayed for water and out of the blue appeared a fountain of fresh water and its owner invited me to fill my bottles which I did! Talk about a miracle! Eventually, I did get to Saint John way into the late evening and it was pitch dark. I don’t like riding after sunset but that adventure in the forest cost me two good hours. I was tired and hungry and just wanted to get it over and done with. 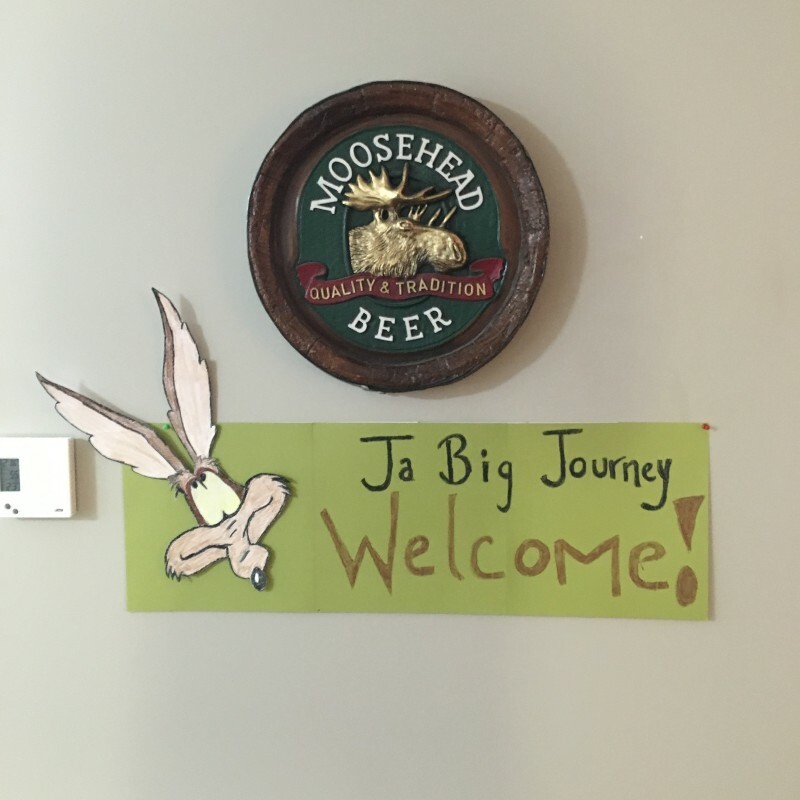 But I got the world’s best welcome in Saint John thanks to my hosts! And when I got inside their home, I even got a bigger welcome surprise! I should mention that the ride to Saint John was my last ride in New Brunswick as I would have to cross the body of water into Nova Scotia another province after this journey. New Brunswick is full of wonderful people and I had a warm welcome and amazing moments and I will write about this at a later stage but I was also looking forward to Nova Scotia and its adventures. Ah, mon JaBig … ! Tu as vraiment une bonne étoile, car tu te “fourres” dans des pièges pas possible et tu t’en sorts comme par miracle. Vraiment, tu m’épates, mais je te recommande quand même un peu plus de prudence. Tu es un sacré personnage … ! J’ai vraiment ri à certains moments, j’ose te le dire … ! Ta façon de raconter est irrésistible de drôlerie et aussi certaines de tes photos, très impressionnantes et très comiques … ! Voilà, JaBig, tu continues de nous fasciner et de nous enchanter, quoi que tu fasses … ! Prends des notes, car on oublie assez facilement.